phillip is using Smore newsletters to spread the word online. January 4, 1643 was when Isaac Newton was born. 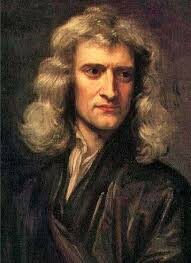 March 31, 1727 is when Isaac Newton died. Born in England, Isaac Newton was a highly influential physicist, astronomer, mathematician, philosopher, alchemist and theologian. In 1687, Newton published Philosophae Naturalis Principia Mathematica, what is widely regarded to be one of the important books in the history of science. Newton’s law of universal gravitation describes the gravitational attraction between bodies with mass, the earth and moon for example. Newton’s three laws of motion relate the forces acting on a body to its motion. The first is the law of inertia, it states that ‘every object in motion will stay in motion until acted upon by an outside force’. The second is commonly stated as ‘force equals mass times acceleration’, or F = ma. The third and final law is commonly known as ‘to every action there is an equal and opposite reaction’. Other significant work by Newton includes the principles of conservation related to momentum and angular momentum, the refraction of light, an empirical law of cooling, the building of the first practical telescope and much more. Why is this person so important to the Scientific Revolution, or science in general? Because he was the person to discover that the sun was the center of the universe. He also developed three laws of gravity and discovered calculus to make more advanced problems.